Lecture title: "EU research in aviation: achievements and future perspectives"
Since 1 February 2016, Clara de la Torre is appointed Director for 'Transport' in the Directorate-General for Research & Innovation at the European Commission, marking the forth assignment at such position in the course of last 8 years. Previously, starting in 2014, she was responsible for the dossier 'Key Enabling Technologies', following a 3-years' appointment as Director in the field of 'Research and Innovation.' 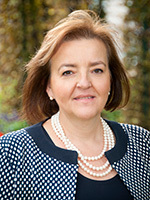 In her first post as a Director, from 2008 to 2010, she was in charge of 'Inter-institutional and legal matters related to the Framework Programme' at the European Commission. After a couple of years in private sector, her professional career was focussing on the research policies which became the springboard to working opportunities at the European Commission in 1987. In the late 90's, she was dealing with 'National Research Policies & Intergovernmental Cooperation.' She was also working at the EU Joint Research Centre both in Brussels and Seville, where she was Advisor to the Director of the Institute for Prospective Technological Studies. Clara de la Torre has a degree in Economics and Business Administration from the Universidad Autónoma of Madrid. Lecture title: "A panorama of past, current and future European launchers"
After been graduated from the Ecole Centrale des Arts et Manufactures in 1985, Jean-Marc Astorg joined the CNES Launch Vehicles Directorate. He held managerial positions in the field of mid-term launchers preliminary studies and contributed in launchers programs. From 1991 to 1998 he supervised the studies for the new version ARIANE 5ECA, and the Vega launcher. In 1998, he became project leader for the overall development of Ariane.5 new ESC-A upper stage. 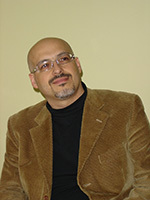 He directed the ‘Soyuz in French Guiana’ project, from 2003 to the first launch in 2011. Afterwards, he became the Director of Procurement, Sales and Legal Affairs. 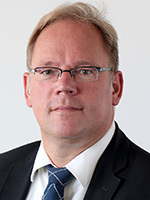 Since 2015, he is Head of CNES Launch Vehicles Directorate which is involved on current Launchers Ariane 5, Soyouz and Vega exploitation, and also in the Ariane 6 and Vega-C and in the launchers next generations development as : Ariane 5 Next, Prometheus, Callisto. Lecture title: "From ICARUS to AMAZON, what makes Humans fly? Electric propulsion, Autonomy and Connectivity at the core of future flying vehicles"
Yann Barbaux, born on 24 August 1958, is since 2017 the Executive President of Aerospace Valley, a cluster of more than 800 members, OEMs, SMEs, Universities & Research Centers, from the Aerospace sector. He is Senior Vice-President at Airbus. He is married and has 3 children. From 2013 to 2017 he was Chief Innovation Officer for Airbus Commercial Aircraft. 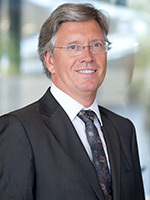 Prior to assuming this position, Yann Barbaux created in 2007, and served as SVP Head of Airbus Group Innovations (former EADS Innovation Work), the Corporate Research Organization of AIRBUS. Yann Barbaux began his career in 1982 at Aerospatiale, in the Corporate Quality Organization. He was associated to the development of new programs, such as the Airbus A320, as an expert in metallic materials. In 1987 he was appointed as head of the Metallic and Thermo-structural Materials Department in the Aerospatiale Common Research Centre. In 1996, he was promoted as Head of Strategy, Research Coordination and Cooperation of the CRC. 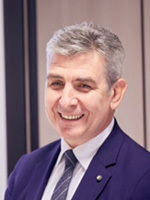 Beginning of 2000, Yann Barbaux was appointed as Vice President in charge of R&T and Defence in the Corporate Merger Integration team, tasked to prepare and accompany the creation of EADS. In 2004, he was appointed as Vice President – Chief Executive Officer of GIE EADS CCR. Yann Barbaux published and contributed to a high number of technical publications in International Scientific Reviews and hold a patent on Structural Concepts for a Supersonic Aircraft. He has been a member of various engineering and technology societies, and of the Advisory Group for Aerospace Research and Development (AGARD) of NATO; in acknowledgement to his contribution as chairman of the Materials Panel of the French Association for Aeronautics & Space (AAAF), he has been elected to the rank of Emeritus Fellow of this Society. 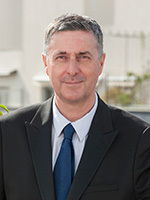 Chevalier de la Légion d’Honneur et de l’Ordre National du Mérite, Yann Barbaux is member of the French Association for R & T (ANRT), of the board of the Ecole Normale Superieure de Paris Saclay and of the board of the Federal University of Toulouse. Lecture title: "An outlook on the future of Turbofans and Aircraft Propulsion Systems"
Lecture title: "Unleashing the Potentiality of European Collaborative Defence in Aviation and Space"
Giuseppe G. Daquino is a nuclear engineer, with a PhD in nuclear and industrial safety and a Master in Business Administration. He has worked at the Joint Research Centre of the European Commission (EC), at the CERN in Geneva and, just before entering the European Defence Agency (EDA), at the Research Executive Agency of EC as Project Officer dealing with Space Research. In the latter context, he developed a long experience in project management, the portfolio being mainly composed by space critical technologies, including materials and structures, and enabling technologies for satellite communication. Giuseppe Daquino is now the EDA project officer of materials and structures technologies. In this role, he contributes to the EDA Research, Technology & Innovation Directorate initiatives aimed at defining capability-led priorities and projects, he moderates and steers the EDA Member States expert group (CapTech) in Materials and Structures and related electronic fora on the EDA Collaboration Platform, he liaises with the EC and EU Agencies, companies and industry associations involved in military and dual use R&T in the materials and structures area of responsibility. He is also responsible for the maintenance/update of the Materials CapTech’s Strategic Research Agenda. Lecture title: "H.A.I: Capabilities, role & contribution to the Aerospace Community"
Various Air Force National & NATO assignments as electronic systems chief engineer, staff posts and Support Director at, 110 Combat Wing and Hellenic Air Force Hqs. In my NATO and National assignments, I have been involved with the planning, acquisition, implementation, management, maintenance and support of major Command Control, IS, aircraft avionics and integrated systems. General Secretary of Hellenic Aerospace Security & Defense Industries Group (HASDIG). Andrea Pontremoli joined IBM in 1980 in as Customer Engineer and grew up in the professional career until in 1999 he left Milan and moved to Paris as Vice President of Global Services Operations for IBM Europe, Middle East and Africa and later he became General Manager of Integrated Technology Services for the same Area managing more than 25.000 people. In 2001 he came back to Italy and was appointed IBM Global Services General Manager for South Europe, a position he kept until 2004 when he was appointed President and CEO of IBM Italy. In October 2007 Andrea Pontremoli left the position of President and CEO IBM Italy to face a new challenge joining Giampaolo Dallara to manage Dallara Automobili, a glorious historic company at Varano de' Melegari in Valceno ( Parma). Andrea Pontremoli joined the company as Partner of the founder Gian Paolo Dallara and he was appointed CEO and General Manager, with the aim of devising new and innovative strategies for the development of the company. In May 2000 he has been appointed as President of Centro Studi Valceno 'Antonio Samore', a no-profit company. 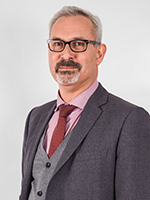 In November 2007 he has been appointed as Scientific Director for the "Executive Master in Technology and Innovation Management" at the Bologna Business School, University of Bologna. 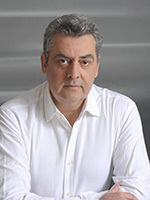 Since April 2008 Andrea Pontremoli is a member of Barilla S.p.A.'s Boards of Directors and Executive Committee. Since May 2012 Andrea is the Lead Indipendent Director in the Board of Directors of Brunello Cucinelli S.p.A, where he has also the responsibility of the Risk Committee and member of the Compensation Committee. In 2004 Universita degli Studi of Parma awarded him a honorary degree in Computer Science Engineering for his expertise developed during the many years of his managerial activity and for the constant commitment for the technological development of territorial areas. Pontremoli has been for a long time a member of Boards at Confindustria, Assolombarda and Assonime, moreover he is a member of Aspen Institute Italia. On 2 of June 2006 he was awarded the honour of "Cavaliere di Gran Croce al Merito della Repubblica Italiana" from Italian Republic President Mr. Carlo Azeglio Ciampi, the highest honorary degree in the Italian Republic. Since January 2017 Andrea Pontremoli is an external member in the board of University of Parma. Since April 2017, Andrea Pontremoli is the president of the Motorvehicle University of Emilia Romagna (MUNER), an association which was strongly advocated by the Emilia- Romagna Region, and it was created thanks to a synergetic connection among universities and manufacturers. Lecture title: "ASTORIA – Unmanned Aerial Systems targeted at Open Research & Innovation Actions in Europe"
1995 Dipl.-Ing. in Aeronautical Engineering at TU Munich, graduated in 2001 to Dr.-Ing. in the field of conceptual aircraft design. From 2002 to 2008 director of Grob Aerospace in Mindelheim, Germany, responsible for design, production and support of the Grob fleet of all-composite aircraft; development of a 4-seat aerobatic turboprop, a 7-seat turboprop and the SPn business jet. From 2009 to 2013 program director for a 19-seater commuter aircraft project at Sky Air-craft in Metz, France, then VP Programs at SST Flugtechnik in Memmingen, Germany, setting up an EASA approved design organization, holding the TC for a 6-seat all-composite turboprop aircraft. Since 2015 professor for aircraft design at the Institute of Aircraft Design, University of Stuttgart with a research focus on manned (hybrid-)electric flight (“Icaré 2” and “e-Genius”) and scaled UAS flight testing. Since 2016 member of the Board of Directors of the European Aeronautics Science Network (EASN), taking the role of Industrial Advisory Officer.